iOS is kind of “jailshell” mobile operating system where users have no root access and cannot change much of the advanced configurations, personalization or settings. To perform advanced tasks, the iPhone, iPad or iPod touch has to be jailbroken via a jailbreak process, which not every devices on every iOS versions supported. However, if you just want to play with location service on the iOS device, such as teleport to another location without going to that location physically, you can enable a simulate location command embedded into the Maps app of iOS. Simulating location is essential for teleporting in some apps and games like Pokemon Go. 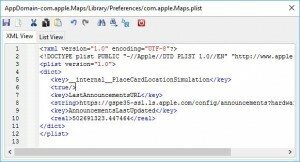 Most location faking or location simulation apps, such as LocationFaker8 or FlyGPS requires jailbroken devices. This trick does not require a jailbreak, and involves just a simple plist edit of an iTunes backup. Connect the iPhone, iPad or iPod touch to the computer (can be PC or Mac). Run iTunes if it’s not automatically opened. 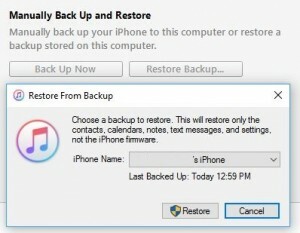 Hit the Back Up Now button under “Manually Back Up and Restore” to backup the device. Ensure that Encrypt iPhone backup option IS NOT checked. Download and install iBackupBot from http://www.icopybot.com/download.htm (available for both Windows and MacOS). iBackupBot will automatically load the backup information. Select the backup that was just made in step above. Navigate to System Files -> HomeDomain -> Library -> Preferences. 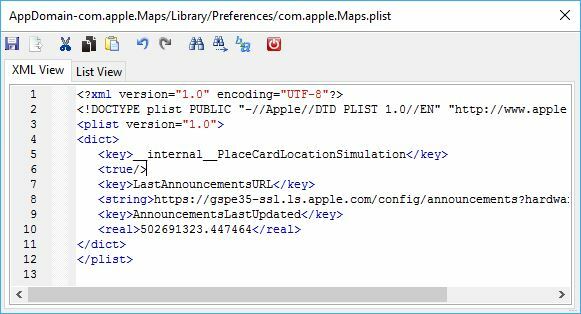 Open (double click) the com.apple.Maps.plist file to open it using iBackupBot built-in plist editor. If “Register iBackupBot for iTunes” dialog pops up to ask for reg name and reg code, you can just close it to skip it, and the plist editor will continue to open. On the iOS device, open Settings app, and go to iCloud -> Find My iPhone or Find My iPad or Find My iPod. Turn off and disable the Find My iPhone or Find My iPad or Find My iPod by toggling the slide. Back to iTunes’ device screen (ensure that the iOS device is still connected to the computer), click or tap on Restore Backup button under “Manually Back Up and Restore” and select the backup that was just edited. Once restoration is completed, open Apple Maps. Select any location, and a information tab or status bar will be shown at the bottom. Tap on the information icon or bubble of the location to open the panel, and tap on Simulate Location at the bottom to teleport to the pinned location. To disable the location simulation (cancel the teleportation), you have to restart the phone. If you’re running iOS 7 (newer iOS versions require jailbreak) and has DebugPanelEnabled set to unhide the Maps debug menu, you can go to Debug Panel -> Maps -> Clear Simulated Location to reset. 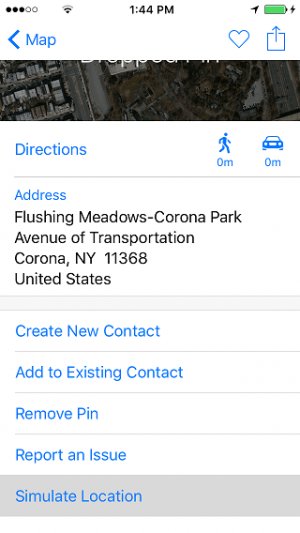 The hack should works in most iOS versions, including iOS 7, iOS 8, iOS 9, iOS 10 or newer, though the way to access the Simulate Location command may be different.